For as much as I think about getting dressed, and as many ideas on the topic as I entertain, I always come back to this: true style is about being authentic to yourself. That tacit agreement you make to yourself to express exactly who you are ends up translating to those around you as a sense of style. Maybe there's more to style than that- maybe the artistry of it, maybe understanding the specifics of clothing or fit or proportion as these things relate to your body play a significant role. But I don't think style can exist in the first place without a firm base of authenticity undergirding it. Just how powerful is authenticity? Let's take an example. 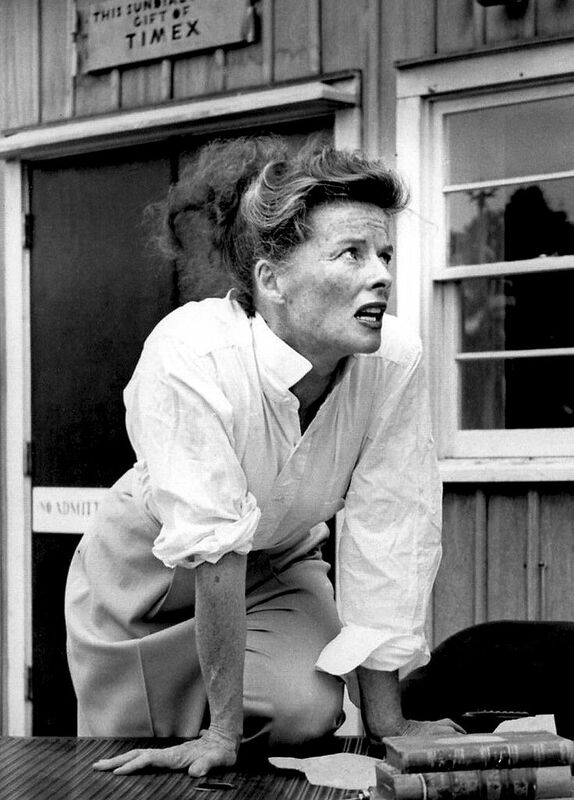 In the 1940s and 1950s, at a time that idolized a feminine fashion aesthetic in a society that had significant expectations about female appearance, Katharine Hepburn said to hell with it and wore what she wanted- pants, collared shirts, and suits- elements of an androgynous wardrobe at a gendered time in history. The real test is this. I look back now at pictures of her dressed exactly as she wanted and I see: a woman with style. Had she gone with convention and wore what everyone else at the time was wearing, I'd like to believe that decades years later, pictures of her still wouldn't be so remarkably relevant. Even fresh. The lesson is clear: don't be afraid be yourself, then dress that self. Sixty years from now, who knows how much people might be admiring you for it. In 1953. Photo courtesy Bryn Mawr College Library.